We Are All Meant to Shine – We Are All Meant to Shine! I am longing for more revolutionary love stories. I want to hear more good stories about love, peace, equality and justice blossoming on our planet. I am longing for revolutions that bring about changes to our world in such a way that there is love between all people. I desire revolutions for peace that spread across all the lands. I want revolutions of equality between all people, no matter their gender, race, culture, sexual orientation or chosen faith. It is also time for a revolution of justice; true justice for all. To quote John Lennon, some may say I’m a dreamer, but I do know that I am not the only one. Do my revolutionary ideas and desires about letting love rule seem unreasonable to you? Do you doubt that we can create a world of love, peace, and equality? What do you think stands in the way of reaching such goals? 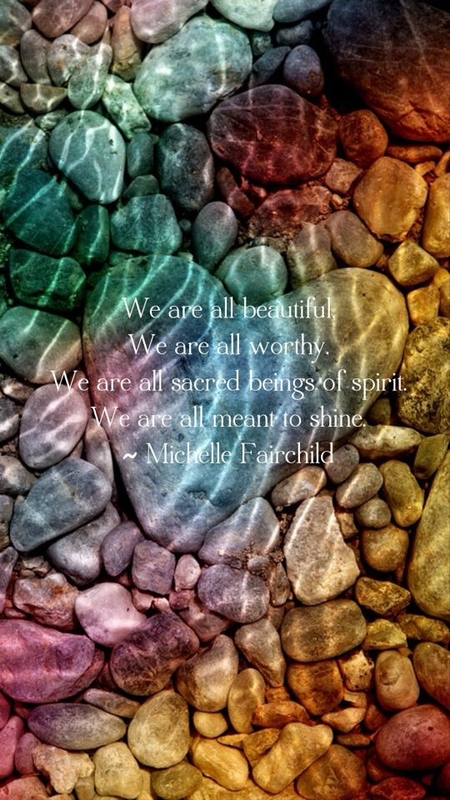 Mojo Monday ~ Do You See Your Essence? Yesterday I drove east for an hour, up a highway that takes me into tall trees and near to Lassen Volcanic National Park which is home to smoking fumaroles, meadows freckled with wildflowers, clear mountain lakes, and numerous volcanoes. I listened the whole time to the cd These Changing Skies by the band Elephant Revival. My destination was Dos Aguas, the home of friends and my spirit guide who I am journeying and vision questing with for 13 months. The journey includes reading month by month the book The 13 Original Clan Mothers by Jamie Sams, creating an art piece/shield each month, fasting on the full moon day, ceremonies, and additional exercises/assignments. I arrived and was greeted warmly by my friends and all their fur-kids (four cats and seven dogs) who all clamor, wiggle, purr, lick, jump for some pets, scratches and hugs. My guide and I spent two hours together, part of the time in conversation and then in a very grounding ceremony barefoot, under the canopy of trees over a hundred feet tall, with the water from Battle Creek rippling and babbling by us. I had been feeling overwhelmed with the demands of my day job for a few weeks and I had been under a tight deadline to complete a special project the week before too. Prospects of potential opportunities and change also had me attempting to keep anxiety at bay. A grounding ceremony, bare feet touching the ground, time spent in that beautiful environment and reminders about what really matters most and who I am were things my soul were in extra need of on this day. On the drive home, listening to more Elephant Revivial music I reflected and let my mind wander, all while keeping a watchful eye for deer along the sides of the road. I contemplated what to share with you all in this Mojo Monday. My thoughts traveled to one of the more recent newsletters I received from Dr. Margaret Paul, therapist and co-creator of a program called Inner Bonding. I enjoy her insightful and thoughtful newsletters and her approach regarding such subjects as healing, wellness and healthy relationships. She had shared a more personal story in her newsletter entitled Do You See Your Essence? Here is her very insightful commentary about loving ourselves and recognizing our true essence. Do You See Your Essence? I grew up with parents who had no idea they even had an essence. They believed they were their wounded selves, and that they were not good enough. Because they could not see their essence, they could not see mine, so I also grew up believing I was not good enough. Everything changed for me when I finally saw my true essence. Since my wounded self was programmed to believe that I was not good enough, I could not see my essence through the eyes of my wounded self. 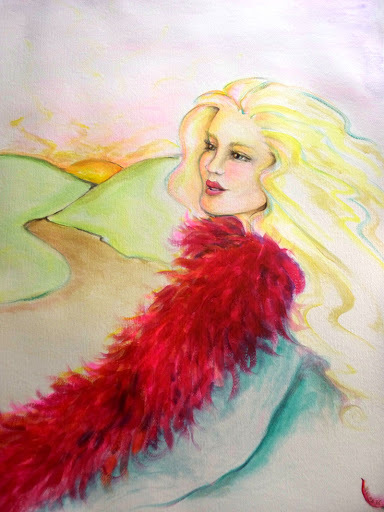 In fact, my wounded self was so convinced that I was not good enough that she spent a lot of energy hiding my essence. 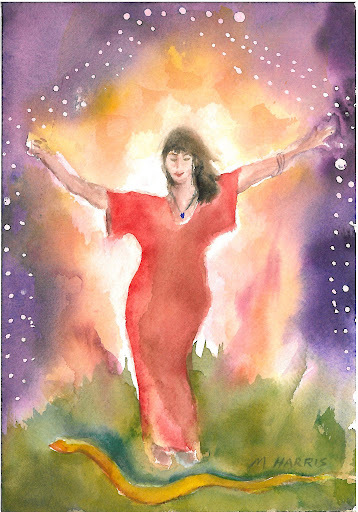 I could not see my essence until I started to practice Inner Bonding and began developing my spiritual connection. Through my consistent Inner Bonding practice, my connection with my spiritual Guidance became stronger and stronger. By testing out, many times, what my Guidance told me, I finally learned to trust her. So when she showed me the magnificence and beauty of my true essence, I believed her. That’s when I stopped needing others’ approval. That’s when I started to be able to fully manifest my life. My Guidance not only showed me how incredible my essence is, she showed me how incredible everyone’s essence is. She helped me develop the ability to see and relate to people as their essence rather than as their wounded self. Now I know, as Anita Moorjani states in “Dying to be Me,” that the essence of all of us is love – an individualized expression of the love that is God. Not only are we love, but each of us has been given unique gifts and talents to enable us to express our love in unique and individual ways. 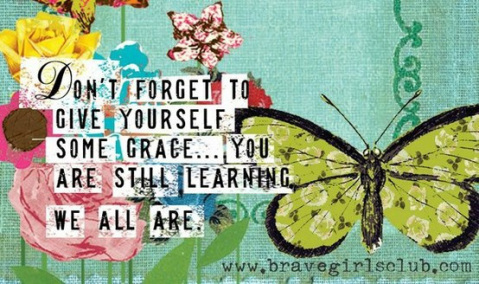 Inner Bonding is about learning to love yourself – but you cannot fully love yourself until you know who you really are. Right now, take a deep breath. Put your focus into your heart and move into an intent to learn with your Guidance about who you are. Use your imagination to envision your Guidance – whatever that is for you. Now imagine that you can see your soul essence – your true self – through the eyes of your Guidance. What do you see? You need to get beyond your wounded inner child to the child you were before you became afraid, and learned to protect. You might even need to go all the way back to before you were born, since if your mother didn’t want you, or there was a lot of conflict in your environment, you might have already been afraid – even before birth. See if you can FEEL the love that you are, and all the other unique and wonderful qualities that you are as a soul. You might want to write down what you see. One of the habits I’ve developed is the exact opposite of self-judgment: I acknowledge out loud to my little girl whenever I behave in a way that truly expresses my soul essence. I tell her how grateful I am that she is within me and that I get to take loving care of her. I marvel at her creativity, her kindness, the joy she receives from giving to others. I praise her for her love of learning, her joy and laughter, her connection with people and animals, her playfulness and her aliveness. I let her know how much I value her deep sense of integrity and honesty. In other words, I do what good parents consistently do – I mirror to her, throughout the day, who she really is. Yet even this isn’t enough. In order for her to believe me, I then need to treat her as a cherished being. I need to love her by taking loving action in her behalf. Seeing her is only the beginning. Taking consistent loving action in her behalf lets her know that I truly love and cherish her. This is what Inner Bonding is all about. Here is also a taste of the music of the band Elephant Revival as they perform their song called Go On. Go on and find your life now. And don’t work too hard. Don’t worry ’cause you’re here. And now somehow. Oh, oh. Or the lost respect and sacredness. ‘Cause most things can hurt or help. It’s up to us. Oh, oh. We’ll know, cause most things can hurt or help. Go do those things you’ve always wanted to. I’ll be there when I can for you, my friend. Oh, I’ll be there when I can. Do You Trust the Mystery? Come over and read more about this fascinating subject! 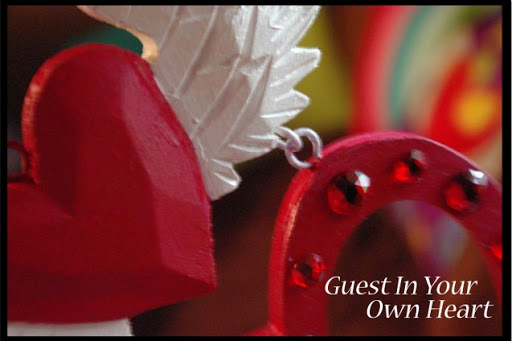 Guest In Your Own Heart. My most recent article in the Cosmic Cowgirls Magazine is called Am I Pretty? self-worth on how she looks instead of who she is. It keeps her preoccupied , colors everything she does, plans, and anticipates. Doc Martens and Motherhood: A Short Tale of Self-Discovery. I am thrilled to feature Melissa Wardy and her fabulous blog post called Waking Up Full of Awesome in my column in the Cosmic Cowgirls Magazine. Come be inspired and reminded how awesome you are by clicking here.